Unfortunately nearly all homes fitted with uPVC or composite doors have also been fitted with standard cylinder locks which are flawed due to a weak point in the centre of the lock. This allows the lock to be easily broken and once broken the locking mechanism can be accessed and the door opened quite easily. Locksmiths and the police have known about this for a long time and it wasn't such a problem, however this knowledge has now found its way into mainstream news and unfortunately thieves are taking advantage of this. Even more worryingly is that thieves are using this method to break into peoples homes while they sleep to steal car keys, as modern cars cannot be 'hot wired' like they used to be due to microchips in the car keys. This is fast becoming an problem across the UK but fortunately the lock manufacturers are fighting back by developing much more secure cylinders that cannot be snapped, therefore leaving your home much more secure. Thieves will not even attempt to break in when they see that your home is fitted with an anti snap lock as they know their efforts will be thwarted. From as little as £60 we can upgrade your locks to new British standard 3 star (the highest rating available) anti snap locks giving you piece of mind that your home won't fall foul to the lock snapping epidemic. 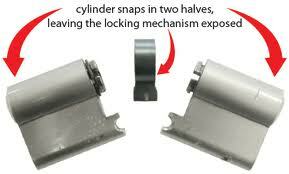 There are some locksmiths out there using certain cheap anti snap locks which are quite frankly no more secure than the standard cylinders they are replacing them with, so whether you use Lincoln locksmiths Services or not please make sure the anti snap locks are of good quality. 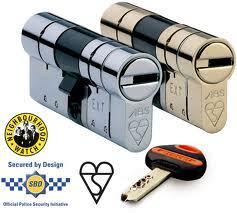 We use the best lock on the market so email or give us a call today and find out how we can help you secure your home.